Thank you very much for your visiting our Café in Shihoya. 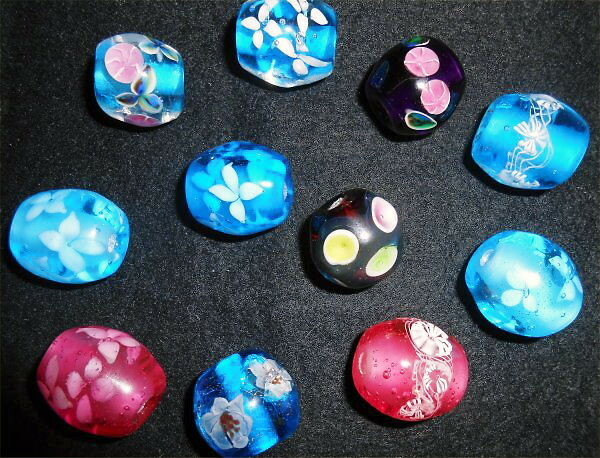 In the heat of late summer, “Reiko’s Lesson of Making Glass Beads” has also been booming; thanks a lot! These are some of R’s latest works of Glass-beads. 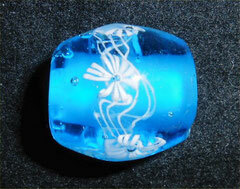 R recently made many refreshingly cool and blue colored Glass-beads. To see is to believe, isn’t it? Why don’t you drop in Shihoya Bookstore to see them?